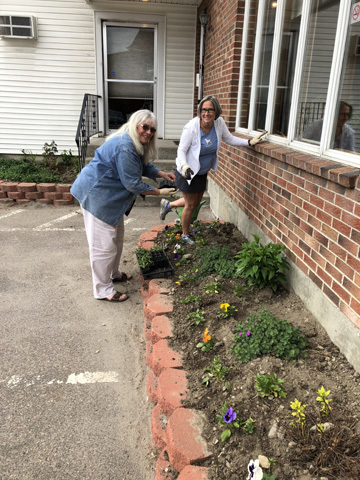 Jen Burt, Accounting Supervisor and Cathy Waine, Business Office Assistant take advantage of some nice weather to beautify the Central Office. Plantings include phlox, pansy’s, asters, zinnias and more. Thanks ladies, we sure do appreciate it!